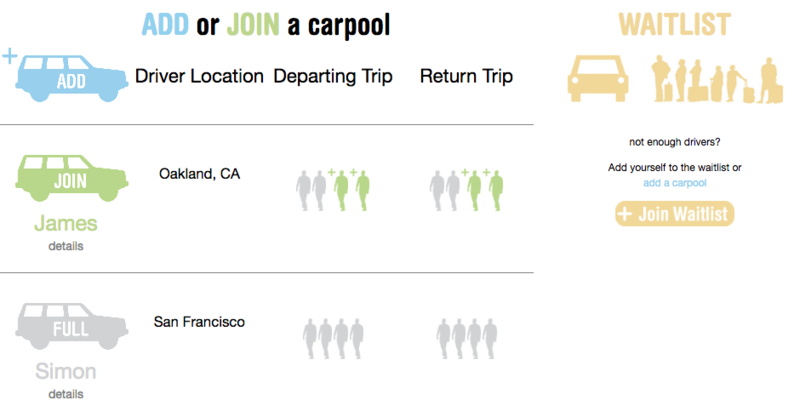 Carpool and Ride Share Signup Sheet for your Group. Stop creating spreadsheets. They don't work. Retreats, Team Building Events, Planning Sessions and Client Rental Logistics. Conferences, Retreats, Parades, Festivals, and Weekend Destination Workshops. Weddings, Camping and Hiking Trips, and Family Reunions. You'd be comfortable sharing this with your grandparents because it's user-friendly. And you don't have to design and organize it yourself! Our website is designed to be seen on the go with all smart phones. No app required, just view it straight in your browser. No extra account, no extra step to sign in. This sheet is designed to be as easy as possible for anyone to use. Are you on the waitlist and someone adds a car? Are you a driver and someone joins your car? We'll send you an email. No more constantly checking your spreadsheet. Take a look at our interactive demo , watch a video tutorial, or just create your own! 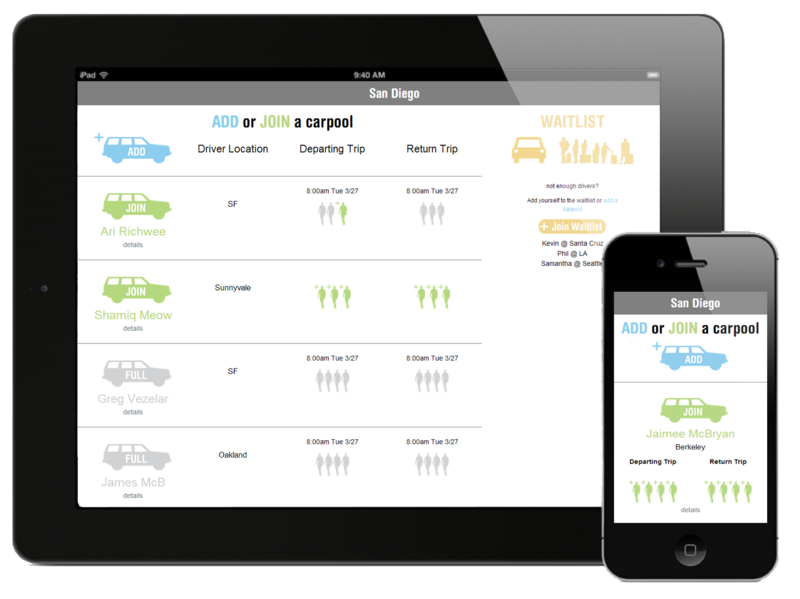 Our beautiful interface displays well for iPad, iPhone, and Android, allowing you to draft, manage, preview, and edit carpool entries.